The Pandora “pandemic” may soon be rolling into a car near you! Ford previously announced it would offer Pandora in connection with its SYNC platform. 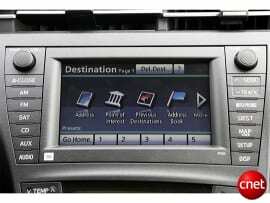 Today, at CES in Las Vegas, Toyota revealed it will also roll with Pandora using its Entune multimedia system. The Toyota system will also reportedly engage users with other apps such as Bing, OpenTable, iheartradio and movietickets.com. Users only need to download an Entune app to their iPhone, Android or Blackberry and pair the phone via bluetooth with the car’s system. The individual apps are actually run by the Entune server. Toyota plans to unveil the new functionality later this year.